As your child turns 3 years old, its time to say goodbye to the nappies and hello to the world of preschool. Change can be a daunting aspect for adults ,let alone children, so with this in mind we have devised this guide which will provide you with all the information you need to help ease the transition of your child from the toddlers room to the preschool room. It will also provide you with important information on all you need to know about life in the preschool room, from staff members to uniforms. All preschool children are required to wear a uniform, which helps develop boundaries for children before they go to school. The address for our uniform supplier is as follows: Uniform4Less, Unit 1 Atlas Works Mill, River St, Blackburn, BB1 8EG. In our drive to prepare the preschool children for life in school we have a home link activity schedule which is to send homework once a month, this must be carried out to enhance the child’s learning and will enable the child to develop key skills for the future. We, the same as many believe a key skill to have in life is to be able to swim and there’s nothing better than learning to swim from an early age. 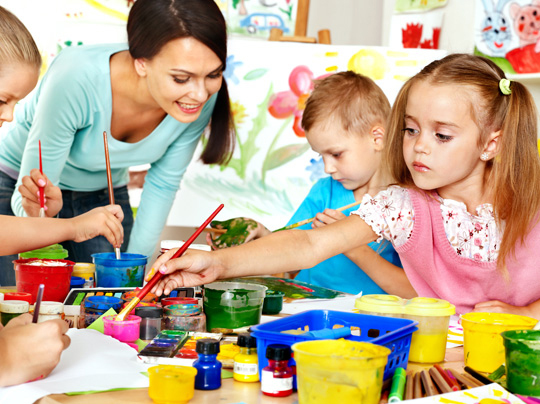 Children from the age of 3 years onwards will be able to start the lessons with us as an extra curriculum activity. A full list of activities and planning can be seen on the planning board in the pre- school room.